On the evening of 9 October 2014 on the online coin auction site Numisbid an Australian 1983 50 cent set a price record of $3,403.50. You can see the Numisbid images of the coin above. This is for a coin with a McDonald’s catalogue value of $5, from a proof set with a mintage of 80,000. The set itself has a catalogue value of $50 but in the real world 1983 proof sets can be had for less than twenty dollars. So, how, we hear you ask, does a coin sell for nearly 700 times catalogue value? The answer is that the coin was graded by PCGS as PR70. 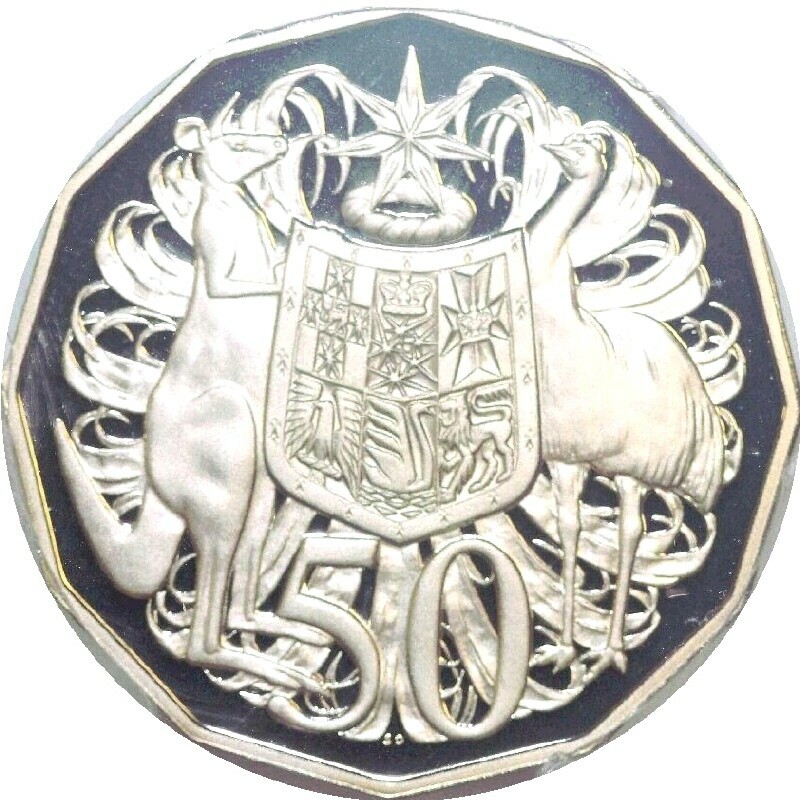 The highest grade available for a proof coin. 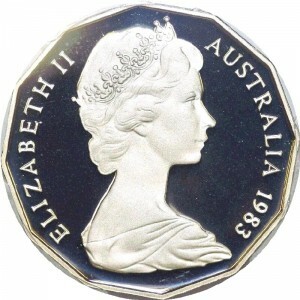 And at the time of the auction it was the ONLY proof 50 cent bearing Machin’s portrait of Queen Elizabeth II and dated 1984 or earlier. The PCGS population report at the time of writing showed 490 proof 50 cent coins dated earlier than 1985 and this coin is just one of those. Clearly a rare beast indeed! And given the number of coins graded to achieve this single PR70, likely to remain a rare beast for some time to come. So why did someone pay this for a common date proof coin? Well, clearly they are dedicated and driven collector, and a strong supporter of third party graded coins, and PCGS graded coins in particular. And it wouldn’t surprise us if the buyer is a big player in the PCGS Registry Sets and that this coin had given them a lead in a number of different sets. Congratulations to the new owner of the coin, kudos to the person who had it graded, and well done to Numisbid for helping to achieve the record price.